Where I am, Spring is definitely in the air, and Iâ€™m in the mood for something vibrant and cheerful. 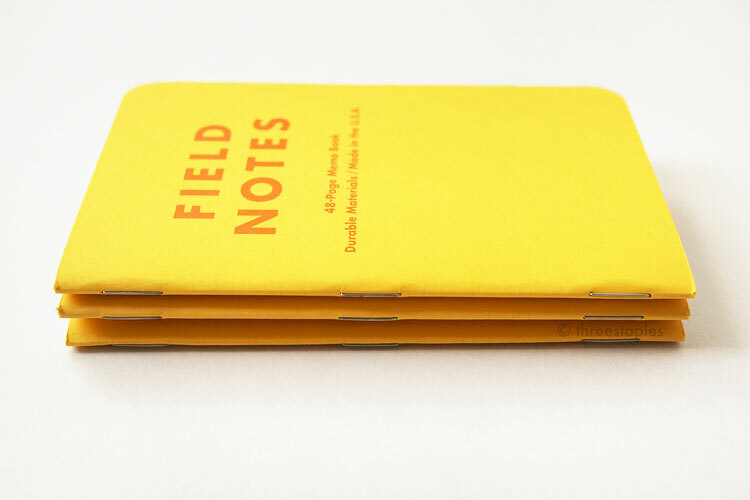 So here is one of the earliest editions of Field Notes Colors that I have: Packet of Sunshine. It came out back in spring of 2010, and is the 6th edition in the Colors series. Of course, I missed it when it first came out. It wasnâ€™t until recently that I was able to get my hands on these yellow memo books, without the marigold seeds and the envelope the edition came with. I paid a small fortune for them, but Iâ€™m glad theyâ€™re part of my collection now. Simply looking at them lifts my mood. I really think that no other spring edition has been as â€œspring-yâ€� as Packet of Sunshine, even without the seeds. Even among all Colors editions, it stands out as the most cheerful in my opinion. Thatâ€™s what makes it still special and unique to me after all these years. With great details like my favorite matte French Paper covers and yellow graph grid inside, Packet of Sunshine easily surpasses my previous favorites and places in the top 10 of my FN ranking. Packet of Sunshine is not the first edition in Colors to get 3 different books; thatâ€™d be Mackinaw Autumn (Fall 2009). But it is the first edition (and the only one so far) where the three books are the same color but printed with a different text color on each cover. The three different colors for the text are: Pantone 021 for orange, Pantone 375 for green, and Rhoadamine Red for red. The green one is my favorite among the three. Paired with yellow, it gives off a very fresh, sunny vibe. The most exciting â€œfirstâ€� in Packet of Sunshine is that itâ€™s the first to come with editionâ€‘specific extras, the marigold seeds. 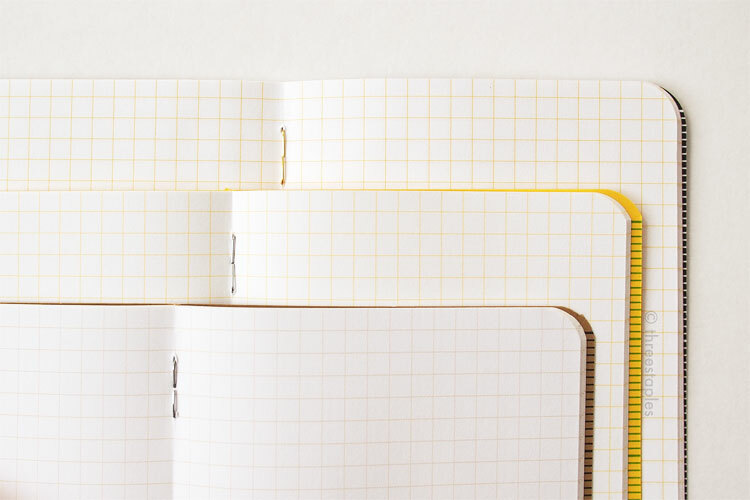 After 6 years of Colors, we might expect every quarterly edition to come with a little something, but it wasnâ€™t until the 6th release that Field Notes started adding extras. And boy did they start with a bang with Packet of Sunshine. (Jim Coudal and Bryan Bedell of Field Notes explain in their 2010 recap video that they were able to do something more ambitious because the amount of subscriptions had gone up.) The memo books came packaged in a top-loading envelope inspired by the vintage American seed packaging, along with real American marigold seeds and a card with growing instructions. And as far as I can tell, it is the first Colors edition to forego the white belly band. Interestingly, the next editions that follow this no-belly band trend are both spring editions: Dry Transfer (2011) and National Crop (2012). Packet of Sunshine is the 6th in the Field Notes COLORS series (Spring 2010). Edition size: 12,000 books/4,000 packs, dated March 2010 on the books, printed February 2010 according to the official website. 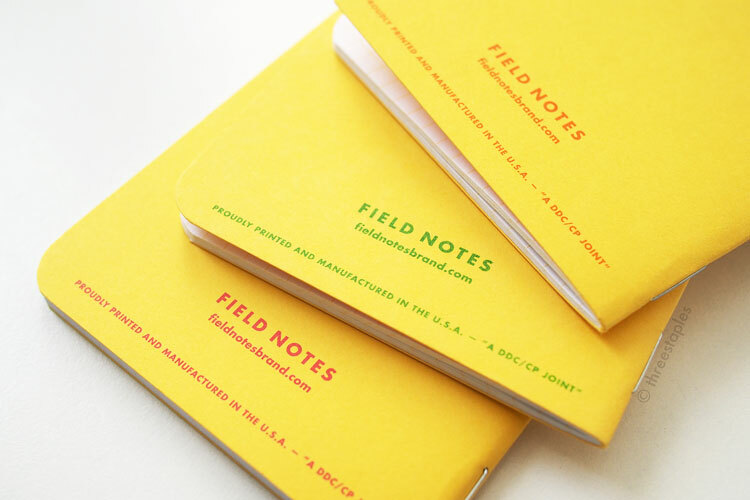 Only 900 3-packs and 225 subscriptions were available online directly from Field Notes. Cover paper: French Paper Pop-Tone 100#C in â€œLemon Drop,â€� printed in three different colors: Pantone 021 (orange), 375 (green), and Rhodamine Red Toyo ink. Inside covers: also printed with the three aforementioned inks to match the outside cover. Extras: a small, clear bag of American marigold seeds (of the â€œCrackerjackâ€� variety) from Bay Farm Services in Michigan, and a die-cut kraft card with growing instructions. Belly band: none. Instead, the books and the seeds were packaged in a custom-made, top-loading kraft envelope with a button and string closure. How I wish I could get this envelope! That sunburst design! Pictures of marigold sprouts and blooms from Packet of Sunshine: here and here. â€œPractical Applicationsâ€� are the same as the ones found in the Original kraft books. Are you one of the lucky people who got Packet of Sunshine when it first came out? If so, did you plant the seeds? Â© 2014â€“2019 Three Staples. All Rights Reserved. Please DO NOT use any part of this site, especially pictures, without permission. Iâ€™m being serious. Please see ABOUT page for details. Copyright Â© 2014â€“2019 Three Staples. All Rights Reserved. Please do not use any part of this site without permission.